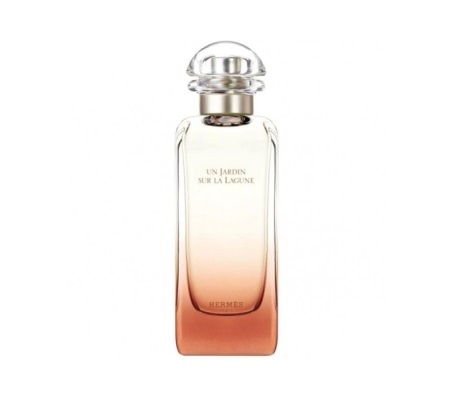 Unlike traditional colognes, however, Un Jardin sur la Lagune has a soft citrus note, and so the first impression is of orange blossoms (dark indoles includes) and green leaves. It reminds me of café blanc, a Lebanese drink of water mixed with orange flower distillate. While the floral accord in the composition has the spice of lilies and the lemony verve of magnolia, for me, the orange blossom impression is pronounced. Later as the orange blossom melds into magnolia, the salty, briny notes appear. Some of you will say that it smells of melon, and those of you who will observe a similarity to L’Eau d’Issey will be likewise spot on. The marine notes in Un Jardin sur la Lagune are subtle enough, however, and they only serve to highlight the softness of petals and the delicacy of the composition. With time, the flowers wear out and so does the sweetness. The salty impression lingers, along with the green wood shavings and musk. The finish is less thrilling than the opening, but it doesn’t distract from the overall appeal of the perfume. Simple, elegant, easy to wear. Yet, I’ll be frank–it may not be a good choice for those of you who dislike marine notes. Or who, unlike me, don’t have a soft spot for L’Eau d’Issey. 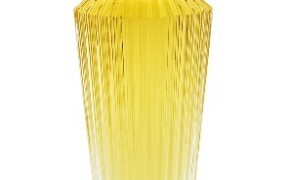 Hermès un Jardin sur la Lagune includes notes of magnolia, lily, samphire, and woods. Suitable for both men and women. As for sillage, it’s excellent, although because the character of the composition is delicate, its presence won’t overwhelm. The lasting power is likewise very good for a cologne, around 5-6 hours. Austenfan: It’s always interesting to read a review of a scent that I didn’t like at all, and that you apparently did. I’ve tried it a few times now, and, no it isn’t for me. It’s not the briny note, but some woody material that I find almost offensive. For me, it also drowns out all of the floral notes that you describe. It may just be that that particular aspect of the scent gets almost all of my attention. Debby: Thanks for this review, I thought it sounded lovely when I first heard about it, but it’s getting some serious hate on Fragrantica! I think I will get a sample, it has a lot of notes I love in it. bregje: The way you described this sounds absolutely delicious! So i’m definitely going to give it a try. Interesting to read how subjective a scent is. I think we have talked before about how much i love sur le toit on my skin, while it didn’t really work for others. Lydia: Victoria, I think you just helped me understand why I found Elixir des Merveilles so odd. I was prepared for orange, patchouli, and a sort of chocolate effect, but not for salted chocolate! Lydia: Thanks for the suggestion. I think I tried it years ago and liked it. I know Sephora carries it in the store, so I’ll definitely stop by and try it again sometime. I have a theory that I’m not so drawn to salty notes because I’m almost always thirsty and my instinct says salty perfume will make me thirstier. Fazal: Polge’s work at Chanel and Nagel’s work at Hermes has not moved me so far. There is no doubt both are extremely talented perfumers but being good at ideas and being a good perfumer are two different things.